Approximately 30 to 40 percent of the senior community experiences tinnitus, a condition that causes ringing, buzzing, clicking, or other loud and persistent noises within the ear canal. Seniors are at an increased risk for developing the condition due to the deterioration of the inside of the ear as a direct result of the aging process. For many seniors with tinnitus, the noise is constant, but for others it comes and goes. While it’s not a life-threatening condition, tinnitus does have a serious effect on seniors and their overall wellbeing. 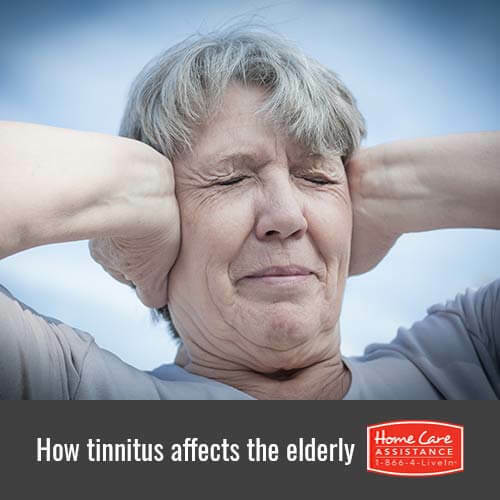 The Grand Strand caregivers should be wary of the following four ways that tinnitus can affect their senior loved ones. It is when things are quietest that tinnitus is its loudest for many seniors. The noise inside of the ear can become quite loud, making sleep difficult for seniors to achieve. A lack of sleep in and of itself is enough to cause a host of other problems for the elderly, including irritability and a compromised immune system. For the most part, tinnitus remains a medical mystery. What is known about the condition is that some sort of underlying health problem often causes it. Usually, it is the result of high blood pressure or an overactive thyroid, though it may also be caused by an ear infection or other ailment. If the ringing is accompanied by pain and drainage, an infection may be the culprit. The constant noise inside of the ear would cause anyone to become annoyed and irritable. Seniors with untreated tinnitus oftentimes find the condition does, in fact, interfere with their mental clarity and stability. Seek professional help for your loved one if he or she notices that the sound doesn’t go away on its own. Tinnitus causes added stress and anxiety for many seniors as a result of not being able to hear what other people are saying. This additional stress increases the risk for cardiovascular problems, insomnia, poor appetite, and a host of other problems. It can also worsen tinnitus in many instances. If your loved one was recently diagnosed with tinnitus and could use help around the house, reach out to Home Care Assistance. Our comprehensive elder care in The Grand Strand gives seniors the confidence to enjoy their golden years in the comfort of home by offering assistance with housekeeping, personal care, and transportation to and from appointments. 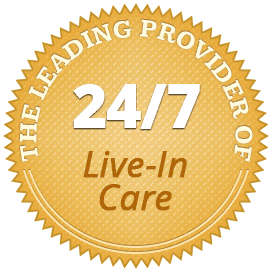 Schedule a free consultation today by calling (843) 353-3105 and speaking with a friendly Care Manager.